When you get right down to it business is mostly about successful collaboration. In order to succeed you need to develop an ecosystem of collaboration and support. You don’t simply get new customers, you partner with them to deliver the most value over time. You don’t simply source vendors you develop relationships that allow both parties to be more profitable. The best leaders know how to partner with their team members in ways that make them want to take ownership. Even members of your network or community that you may have no financial relationship must be seen as collaborators in your success. Over the years, I’ve come to think in terms of three very specific categories of partners that every business must intentionally develop in order to enjoy the most success. 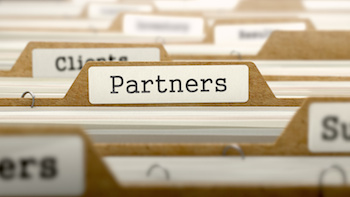 Strategic partners are organizations and individuals that can provide something that is core to the delivery of your product or service or that enhance your core offerings in ways that allow you to go after markets you could not currently serve. For example, my organization provides marketing consulting, but every one of our clients needs help with their website. In order for us to succeed we have to develop partnerships with organizations that can deliver website help in the manner we prescribe. Given we now have virtual access to the greatest talent available worldwide, for every service we need to make our clients successful, aggressively packaging this talent as part of your offering has become a major competitive advantage. I suppose this category of partner might seem new to those just embracing content marketing, but we’ve been preaching this idea for years. Once you start to develop content assets, one of the greatest ways to leverage those assets is to let other people share them. Today we have to build relationships with publishers, bloggers, and organizations in need of content and use these relationships in ways to effectively get referred to tens of thousands of people currently outside of your network. For example, we produce eBooks from our content rather consistently and instead of simply putting them on our website and calling it done, we shop these eBooks out to organizations that have our ideal client as part of their ecosystem and allow them cobrand and distribute the content to their world. This tactic alone has led to hundreds of thousands of dollars in sales from businesses that grew to trust us by being introduced to us by way of shared content. I suppose a more specific term for this category might be co-marketing partners. In this case, we are developing relationships with like-minded organizations with the stated goal of promoting each other in a variety of ways. This relationship can happen virtually through online communication only or it can happen in your town by way of sales reps and service techs. For example, I once worked with an electrical contractor, heating and cooling contractor and plumbing contractor that carried each other’s marketing materials and offers in the service techs trucks. At the end of each call, the technician was incentivized to pitch the other businesses with a coupon. 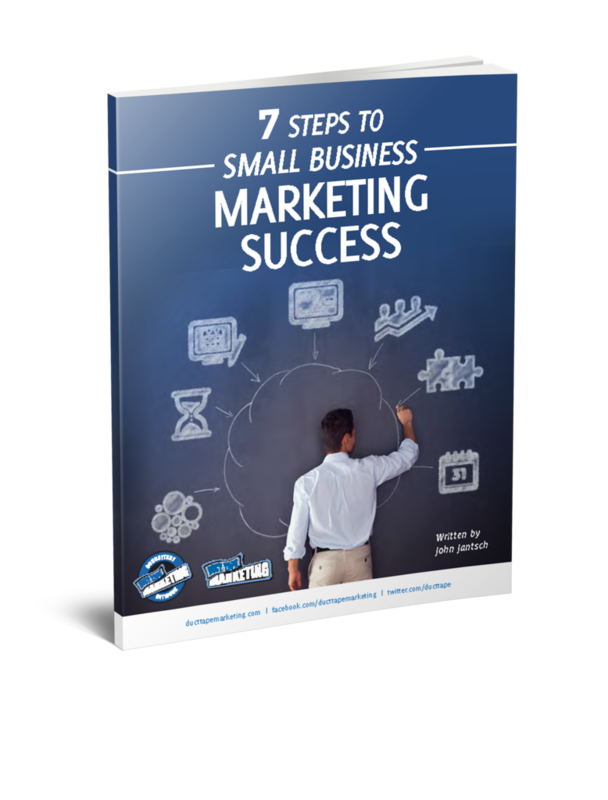 This effort effectively doubled the amount of leads each organization received almost overnight. Imagine if your combined content and marketing efforts and a small group of businesses created a hub of information for their specific market. So, in the example above, our contractors would get together and create content that answered all of the home maintenance questions people could possibly have. My guess is that website would be gobbled up by Google for local questions. Finding the right partners is obviously a big variable in the success of this idea. In order to do this part right, you have to take the point of view that you won’t partner with just anyone. You’ve got to respect what they do and in the case of strategic partners, understand exactly how they will treat your customers. One of my favorite places to go to search for partners is my existing clients. Make it a habit to ask them who they love to refer and why. You’ll quickly develop a list a potential partners that not only come recommended by someone you know, you’ve already got a mutual relationship through your shared client. One thing that will kill any partner relationship is confused expectations. No matter how great the reputation of partner you must spell things out in advance if you want things to work. If a partner is going to provide a service like the website in my first example then you must develop a process for how you are going to communicate, orient the client, provide the work, bill, and follow-up. If you take the time to think about the entire process and even develop checklists for each step along the way you’ll be able to successfully work with multiple partners and effectively scale your ability to do more business. Don’t take this step and you’re inviting disaster! Finally, being a good partner means looking for ways to develop mutually beneficial relationships. If your view of collaboration is mostly one sided you’ll soon find that you are losing partners faster than you can develop them.